Back again to dazzle thousands, the unique dinner concept that has captured South African foodies over the past two years is here again! Having kicked off its tour in Cape Town in February, The Grand White Dinner moves to Pretoria, Durban and Johannesburg. A simple yet enticing concept, will see guests purchase tickets to the splendid affair. A little twist and mystery will add to the excitement for The Grand White Dinner, where the secret venue will ONLY be revealed to guests on the day of the event through sms. 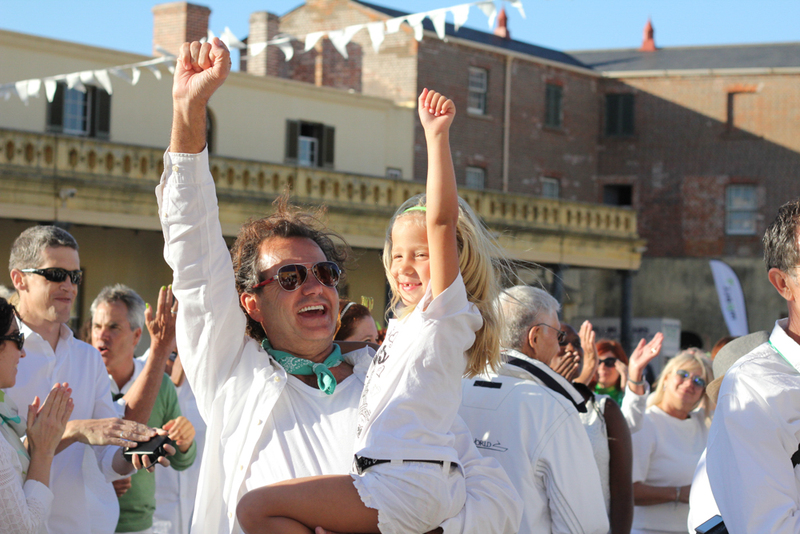 In collaboration with the set theme for event, the dress code is All White with a hint of green, which incorporates the cause behind this unique experience centered on uniting South Africans and our environment. Added to heighten guest experience, is live entertainment, humorous Marc Lottering, and an exquisite arrangement of entrée’s to tantalize taste buds. ‘And what sets us apart from any other event, is there is no VIP. Everybody gets treated the same. There is music but it’s not a concert. The main reason for the event is to unite the South African people,’ explains Madelen.